Pam Voorhees figure? Yes, please! I know I keep saying I don’t collect this stuff, but this Pam Voorhees figure is frickin’ awesome! And you get the young Jason – that is amazing. The t-shirt, the t-shirt, I say! 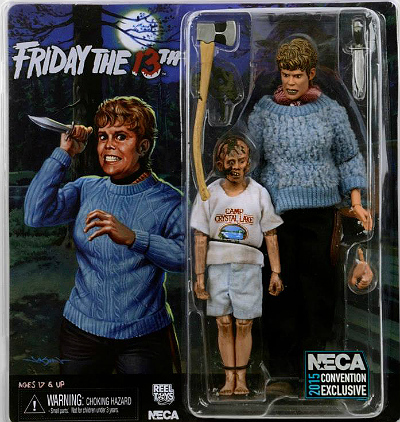 I don’t need this, but this specific Friday the 13th figure set would be an awesome thing to have on any movie fan’s wall. Apparently, this was a convention exclusive, so don’t look for it to be lying around your favorite LCBS – it’s probably a strictly aftermarket get now.